The Features: Find your light. 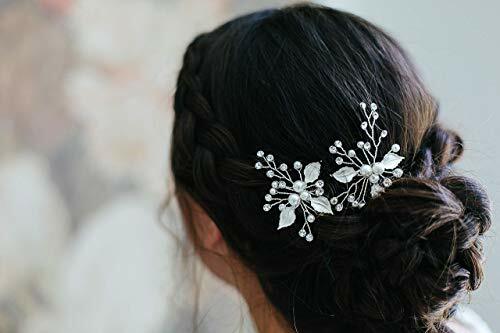 A duo of hair pins, featuring silver flowers softly illuminated with rhinestone accents. The Look: Arrange around a bun to set your look aglow. The Details: Set includes 2 pins. Flexible wire for customized fit and styling. Rose gold hair pins Bride hair pins Crystals hair pins Wedding jewelry Champagne hair pins Bridal hair pins Crystal headpiece Jewelry 8222.